We’d love your help. Let us know what’s wrong with this preview of The Other Realm by Joab Stieglitz. Having discovered the location of Brian Teplow, Russian anthropologist Anna Rykov, doctor Harry Lamb, and Father Sean O'Malley travel to a secluded asylum to collect him. But things are not so simple, and Anna must travel to the land of Teplow's imagination to rescue him, where she finds a different world from the one suggested in the Missing Medium's journals. 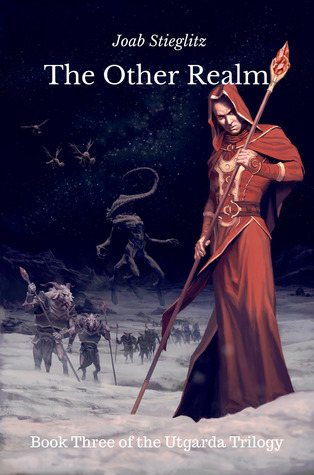 To ask other readers questions about The Other Realm, please sign up. He is an avid tabletop RPG player and game master of horror, espionage, fantasy, and science fiction genres, including Joab Stieglitz was born and raised in the Warren, New Jersey. He is an Application Consultant for a software company. He has also worked as a software trainer, a network engineer, a project manager, and a technical writer over his 30 year career. He lives in Alexandria, Virginia. He is an avid tabletop RPG player and game master of horror, espionage, fantasy, and science fiction genres, including Savage Worlds (Mars, Deadlands, Agents of Oblivion, Apocalypse Prevention Inc, Herald: Tesla and Lovecraft, Thrilling Tales, and others), Call of Cthulhu, Lamentations of the Flame Princess, and Pathfinder. Joab channeled his role-playing experiences in the Utgarda Series, which are pulp adventure novels with Lovecraftian influences set in the 1920's.